A follow up to the previous post. Despite the latest (3rd) reboot movie isn’t getting the best feedback from the public, at least there does not seem to be suspicions of a compromised work because of who worked on it. It happens that with popular franchises the original creators move on, and so they lose that kind of original intent and creativity. They become a commercial endeavor. But in the case of Evangelion Hideaki Anno and most of the original staff have always been at the helm, and are still there doing these reboots. So if they ruin it, at least they have the right to (and hopefully a good motivation too, these aren’t guys that do things lightheartedly and without passion). There was an interview with Anno’s co-director and co-genius, Kazuya Tsurumaki, I think it was included in a booklet that they gave to the people who went to the theatrical release of the second Eva movie, and that I always considered quite interesting. Both for the interpretations on the series, as well as the insight about the production. I firmly believe that Evangelion became a masterpiece especially because it was “art through adversity”. The time and budget restraints forced the staff to stay focused and not take breaks. In Tsurumaki’s words this built a tension that sharpened their focus. It’s as if art becomes a fever, an obsession, and it takes over everything else. Or something that grasps you and drags you onward, willingly or not. Art as possession. The other aspect that was crucial for the building of Evangelion is that they worked on it in a kind of postmodern active way, since they were continuously incorporating the way the public reacted into the development of the series. It wasn’t a closed and fixed project built in an authorial ivory tower, it was always ongoing, developing and integrating the feedback from the outside, reacting to it. It included that type of recursion and self-observation, putting at the center of the actual development that interplay between Anno, the fictional context, and the public. I’ll add here a number of quotes that are pertinent to the aspects I consider interesting and that share themes that I brought up on this blog before. This is interesting because it says that TV series stands on its own and doesn’t require the sequel movies. Those movies were done mostly to meet demands from the fans that were raging at how the TV series ended. And that’s also what triggered Anno’s “vengeful” response. Tsurumaki says he also felt depressed after the TV series was over, because the work itself failed. The fans refused the ending and they got insults instead of praises. The earnest message they tried to send was completely lost AND deprecated. The last part especially explains the postmodern-like process of self inclusion in the work, and so the typical breach of boundaries. What is meaningful is that it’s not an artsy formality, or a divertissement, but it incorporates a real struggle, so infusing the sense into the fictional story. A sense of truthfulness. What is the appeal of Giant Robot Anime? “Giant robot anime” is an expression of children’s subconscious desires. Is compensation for the complexes and various suppressions that children hold, a means of resistance, compensatory behavior. They know that “hope” and the “dream” called “justice and love” are necessary. We can communicate purely to children with no sense of difference between fiction and reality due to a characteristic of the means of expression called animation, namely, usage of the view of the world where everything are “pictures” drawn by people. That is the greatest appeal that “giant robot animation” holds. “The development of Evangelion gives me the feeling of a ‘Live’ concert. Whether it was the story or character development, I made them without theory. During the development, while listening to various opinions, and analyzing my own state of mind, I kept questioning myself. I got the concepts from this personal stocktaking [self-assessment]. At first I thought I would produce a simple work featuring robots. But even when the main scene became a high school, it did not differ compared to other productions in the same style. At this point, I did not really think of creating a character with two faces, two identities: one shown at school, and the other inside the organization he belongs to [Nerv]. The impression of ‘Live’ concert that gives me the birth of Eva, was the team joining me in developing it, in the manner of an improvisation: someone plays the guitar and, in response, the drums and bass are added. The performance ended with the TV broadcasting ending. We only started working on the next script once the previous one was done. This is also another example of metafiction and self-reflection, in fact in the first movie, “Dead & Rebirth”, the characters in the Anime perform a concert for the audience. So this becomes an idea/metaphor directly shown onscreen. This is roughly the worldview for Neon Genesis Evangelion. This is a worlview drenched in a vision of pessimism. A worldview where the story starts only after any traces of optimism have been removed. And in that world, a 14-year-old boy shrinks from human contact. And he tries to live in a closed world where his behavior dooms him, and he has abandoned the attempt to understand himself. A cowardly young man who feels that his father has abandoned him, and so he has convinced himself that he is a completely unnecessary person, so much so that he cannot even commit suicide. And there is a 29-year-old woman who lives life so lightly as to barely allow the possibility of a human touch. She protects herself by having surface level relationships, and running away. — What was the reason you wanted to do an original work, despite these circumstances? Anno: Of course, for myself (laughs). There is always a very personal reason for creating [something]. There is probably no need to say any more [than that] here. — Even so, insisting on something original-? Anno: It’s probably so my self-existence will remain within the film. Shinji does reflect my character, both in conscious and unconscious part. In the process of making Evangelion, I found out what kind of person I am. I acknowledged that I’m a fool. There are too many painful things for people to go on living in reality. realization of dreams and has become entrenched in film. The negative feelings of the real world are no exception. I guess that’s one of the attractive things about anime. people…is that what our work is? I guess that’s our job in the entertainment and service sector. …I [Anno] really hate the fact that animation – or at least Evangelion, the work I’ve been doing – has become merely a “place of refuge.” Nothing but a place where one escapes from reality – by becoming deeply absorbed in it, [people] simply ran from the pain of reality, and from there was hardly anything that came back to reality. To that extent I feel like [the work] did not arrive [at reality]. Steadily the number of people taking refuge [in the work] increases, and if this keeps up, in the extreme case, it would become a religion. 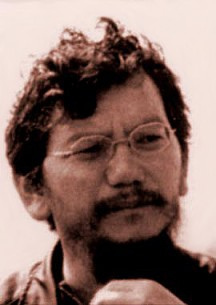 In the second difference, as perhaps an inevitable result of that temporal compression, in ANNO the successful critique of anime was brought about by the logic of acceleration and multiplication, while in the case of MIYAZAKI and OSHII the critique of anime succeeded because of the logic of removal. The last half of “Evangelion” takes the form of a critique of previous anime works through developing all the narrative possibilities and anime-like expressions and pushing them to their limits; in other words producing a totality of the anime-like. Simply put, in the second half of “Evangelion” ANNO produces a super-complicated and super-high speed anime and thereby achieved a qualitative change. Several compositions were made for the purposes of constructing a 90’s savior narrative were rapidly inverted and were instead employed to tear to shreds the interactive communication among the characters. This means that for ANNO, he deliberately cut off communication with anime fans who supposedly can only appreciate works by identifying themselves with and investing their emotions into the characters…. Azuma: Finally, only one question about the “set up” of the work. The enemy called “Angel” has no concrete image. It might be a pyramid, a ring of light, a virus…. in what way did you intend that? Anno: They were paradoxically presented as things without form. For me the idea of an “enemy” is ambiguous, because my relationship to “society” is ambiguous….. The adults of the previous generation taught us that, despite fighting against the system, they were not able to accomplish anything. Anno only makes works for himself, and not for an audience. However, making works is still the only way he can relate to other people. This relationship is like a “masturbation show,” because other people are watching him act to please himself. They decide by themselves how they react to it. He does not directly “pleasure” others. It requires some narcissism to be an author; someone entirely lacking self-confidence wouldn’t “expose” themselves. After the television broadcast finished, I became worse and worse, and went to see a doctor. I even seriously contemplated death. It’s like [I] was empty, with no meaning to [my] existence. Without the slightest exaggeration, I had put everything I had [into Evangelion]. Really. After that finished I realized that there was nothing [left] inside of me. When I asked [the doctor?] about it afterwards, [he said?] “Ah, that is an “identity crisis” (self-collapse) [自我崩壊].”9 It was a sensation as though I had taken something like extremely bad LSD. I was told, “It’s amazing that you were able to do that without medication.” Yeah, now, I feel very fortunate (laughs).10 In order to determine whether or not I really wanted to die, I went up to the rooftop of this building (the GAINAX building) and stuck my foot out, waiting to lose my balance and fall forward. I did it to personally determine [whether I wanted to live or die], [thinking,] if I really want to die, I should die here, and if I don’t want to die, I’ll step back. Well, it didn’t lead to my death, and so I’m here. At first I was manic, but I rapidly developed a severe depression. I wouldn’t leave my office at work; I would leave only to use the bathroom, and I would almost never eat meals. A dilemma suddenly arose: I didn’t want to encounter other people, and yet I did want to encounter other people. Postscript. Yesterday, when I was in a state of mental collapse after my latest work had ended, I was moved deep within my heart by an encouraging phone call I received. The words of concern proceeding from the receiver became joy on my end as, with a exaltant face, my whole body was buoyed. In secret, I rejoiced in receiving some recognition for myself. Thank you from the bottom of my heart. i know this is an old post but i just stumbled on your blog from google. if you see this, do you by chance remember the source for the Anno quote that starts with “The development of Evangelion gives me the feeling of a ‘Live’ concert.”? on a different note, i hope to come back at a more decent hour and read the rest/respond more thoroughly, but i read the first half of your post on maximalism and nihilism, and its cool stuff so far; the connect to analysis paralysis is great (and something im gonna share w/ a gamer friend to whom ive been trying for a while to explain the trouble w/ structuralisms and related kinds of idealism). you may have heard of him, but the philosopher gilles deleuze offers (or performs maybe, as its not something he takes up explicitly but its p clearly at issue) a what mught be considered a kind of maximalism that is totally distinct to the DFW, analysis paralysis, form. also, compellingly—and more explicitly—his particular theory of empiricism and univocal/immanent ontology go a long way toward ungrounding the ontological-epistemological divide, or at least the ‘knowledge as observation/representation/object-mastery’ paradigm.